Many dif­ferent ac­com­mo­da­tion op­tions are avail­able around the con­fer­ence venue. Please check the map be­low. Rooms at Is­ti­tuto Bertoni have run out. We have a deal for some rooms in the boarding house Is­ti­tuto Gas­pare Bertoni (about 2.5km from the con­fer­ence site). Single rooms at 27.50€ per night, double rooms at 22.00€ per person per night, in­cluding break­fast (min­imum stay: two nights). All rooms have pri­vate bath­room and shower. Re­cep­tion is open 16—22 on Sun­day, 8—20 Monday through Friday, and 8—12 on Saturday morning. We have just learned that, in July, the re­cep­tion is closed on Sat­ur­day. The main en­trance to Is­ti­tuto Bertoni is cur­rently closed due to con­struc­tion. You should enter from the side gate at viale Bernardino da Mor­cote 21. 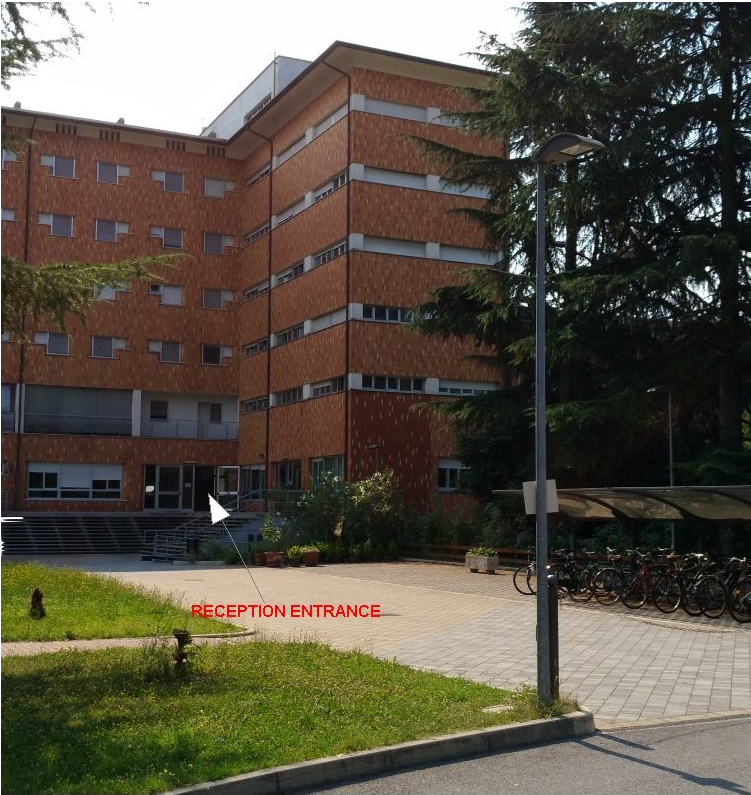 After en­tering the gate keep the main building on your left until you get to the bike parking area: be­hind it is the re­cep­tion en­trance (see pho­to). As July is the peak of the tur­istic sea­son, we strongly sug­gest to book your ac­com­mo­da­tion in ad­vance.